Things change. Most of us understand that. When we see the benefits of change, it’s exciting. But sometimes it means yearnings for the way things used to be. 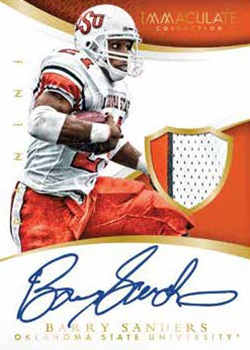 For non-sport collectors, that may very well be a remembrance of when inserts didn’t get any more complicated than a sticker. That simplicity is rare into today’s hobby, almost unheard of. 2016 Upper Deck Finding Dory sticker cards are a throwback in the sense that they bring back that simple configuration. 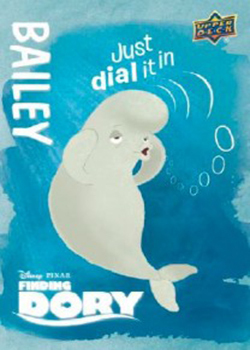 The set-up for the 2016 Upper Deck Finding Dory stickers is a mixture of what you’d find in a basic trading card product and one of Panini’s sticker collections. They are cards, similar to the way Garbage Pail Kids are. They just double as stickers once peeled. Unlike Panini sticker products, there is no album to store them in outside of regular trading card pages. The base set has 40 cards. 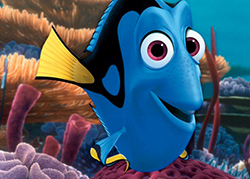 They mix the full CGI-style art that will be shown on screen for the Pixar sequel with line art that is often used during the planning stages. Another bit of non-sport nostalgia can be found on the backs. They fit together to make a massive 40-card puzzle. 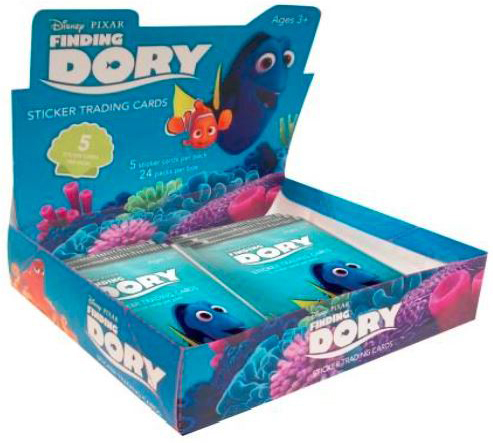 Each pack of 2016 Upper Deck Finding Dory sticker cards has four cards. P2 What Do We do? We Swim? 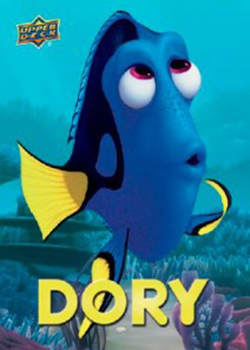 P4 Dory Hooooow Arrreeee Yoooou?